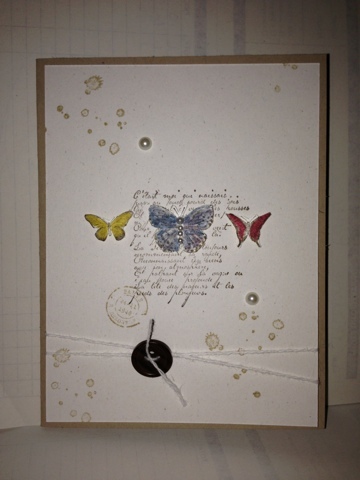 A fellow demonstrator, Amy Cook, designed this card and I loved it so much, I need to CASE it to share with all of you. It features two retiring stamp sets: French Foliage and Kindness Matters. You'll know from my stamp set spotlight posts, that Kindness Matters is a great set with endless possibilities. French Foliage is just as fabulous. While the main features of this set are beautiful leaves, the accent stamps can be used in conjuction with other sets to create amazing cards like this one. Both sets will be gone after May 31, that's only three days from now. Don't miss your chance to create fabulous cards and projects with two beautiful stamp sets. To place your order for Kindness Matters or French Foliage send me an email or shop my online store 24/7.